Steve Layman was the spark to Licking County's Community Capitalism effort a few years back. That effort has had a quiet but significant role in everything from a better downtown in Newark and stronger schools to STEM education partnerships and incubator space. Steve upped the ante with remarks at a Newark Rotary Club program yesterday. Steve suggested adding "Dreamers" to the list of essential elements needed when one sets about improving one's community. He cited Newark area "dreamers" from Rev. Charles Noble, inspired by the needs of several of his parishioners to uplift their housing, to Gib Reese, "the biggest dreamer of all time" who strategically has uplifted Newark and Licking County in countless ways. 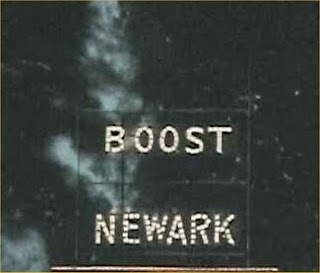 Steve punctuated his point with aerial photos from the past and old photos mingled with current shots in an impressive lesson for all on how Newark is Newark today. Rotarians rightly pointed out. Steve, humbly, left himself off the list. In addition to Community Capitalism, he's dreamt of a self-sustaining Port Authority able to keep having an economic impact even in the face of adversity, past and future. That dream hits close to home for this author. He's really written a new chapter on Newark's version of Community Capitalism. Call it Community Localism now. His conclusion was an appropriate quote from John Lennon (who knew people who live in Liverpool are Liverpuddlians?) and a call to action from the audience to be dreamers, "Our community needs you." Yes! Dreamers have vision. Thanks for being part of that in Licking County! Seeing our community change for the positive over the last 15 years has been exciting. Keep dreaming "Walt Disney", Steve Layman!